As an independent Fashion and Beauty Blogger who also has a great deal of Music Experience and Expertise, finding inspiration in an un-likely place is a rare pleasure. It's no surprise that with an online persona as "The Official #TwitterPartyDJ" that a lot of Audio Accessories are sent my way for a stamp of approval. Plainly, some of them hit the mark and get written about, others don't. I'm the first to tell you, I am not gentle on my Headphones, it's a good thing they are being built tougher! I had a gap between events last week and I got the chance to check out a Best Buy Mobile (I'm in the market for a new Cell Phone. My current one is super old and never plays nice with WiFi at most venues, so it's time to upgrade), and I also went to pick up an online order for a pair for Frends Headphones figuring I'd play with a few phones while I was there. As an Audiophile, it's great to know that Best Buy Mobile is more than just cellphones. I will tell you when you go to pick up an online order at a Best Buy Mobile location they are definitely thorough, they want to make sure the person picking them up is the one who placed the order, in addition to ID they also asked for the last four digits of the credit card method of payment. The store was a bit crowded when I went so I didn't get as much of a chance as I would have liked to play with the phones, but now that I know how close that store is to some of the event venues I often find myself I will head over on another day to spend more time narrowing down what phone and plan will work best for me. Before they bagged my order they opened the box in front of me so I could take a peek at my new headphones, and as I left the store I wanted to rip into them but I had to refrain myself as I was off to another event! Frends headphones are actually designed specifically for women, an ultimate accessory to compliment her style while delivering premium sound. What you will notice first is the Jewelry Craftmanship. They are much like jewels for your ears! Real metals, luxury materials like sumptious, soft white leather and a collapsible design means they will fit in any clutch or even in your pocket. Ƹ̵̡Ӝ̵̨̄Ʒ - Collapsible Design - These are lightweight and truly collapsible making them a dream to travel with! Ƹ̵̡Ӝ̵̨̄Ʒ - Lifetime Warranty - I can tell you I will probably be the first one to take them up on this, stay tuned! I'm pretty tough on headphones so I'm glad they come with a Lifetime Warranty, I'll probably need it! Ƹ̵̡Ӝ̵̨̄Ʒ - Comfortable with Earrings - In addition to not applying extra pressure for when you are wearing earrings, I have the double whammy of earrings and eyeglasses so I appreciate how well the padding molds and doesn't cause extra pressure on the side of my head. This reads: The Beauty of Sound Straight from the Runway! What first me threw me for a loop about these is probably what I now love the most, they are super lightweight, which is what I love about earbuds and normally favor earbuds for my daily commute, I honestly worried at first that they might be too dainty for my heavy use, but they have held up well and I haven't 'babied them'. I figure the only way I could evaluate them is to use them the way I'd use any standard pair. They get tossed in my bag carelessly when I reach my subway stop and my handbags are usually heavy and loaded because I'd rather shove everything into one big bag than carry a million little ones. So sometimes a good yank is required to get at anything that falls to the bottom, and these have held up well to the abuses I put headphones through. I do however recommend using their carrying case since they are white leather! These are designed with iPod in mind, The remote and mic are supported only by iPod nano (4th generation and later), iPod classic (120GB and 160GB), iPod Touch (2nd generation and later), iPhone 3Gs or later and of course iPad. As the mic and remote is designed for apple products it may not be compatible with Android devices. FYI, I tested them on my Pantech Tablet which is an Android device using iTunes for Android and the sound was fine but the remote does not work with my Android device, just apple, it does say this on the box. I tend to like to 'skin' my devices, but these pair just brilliantly with my newer generation apple iPod Touch that is NOT skinned, these really are my iPod's best friend, you should definitely consider making them YOURS. These are for true Fashionistas, totally feminine but not for the wallflower, these attract attention! Perfect music and fashion accessory but with a great deal of power under that pretty hood! I can tell you these will be on the Christmas list of Fashion Forward, Music Loving teenage girls everywhere! (They are an expensive price point, so keep the maturity level of the recipient in mind, if they are careless and lose these they would be devasted, so keep that in mind before you buy!). For all our male readers who write in asking what to get their ladies, get them THESE, trust me, they will love them! I know I do! Ƹ̵̡Ӝ̵̨̄Ʒ - And for our Pin friends in the house, don't forget to follow FRENDS via Pinterest too! I will definitely have to reach out to the folks at FRENDS and invite them to show some love to our readers, but in the meantime, don't forget to hit their social pages and tell them you saw them featured on Ascending Butterfly first! 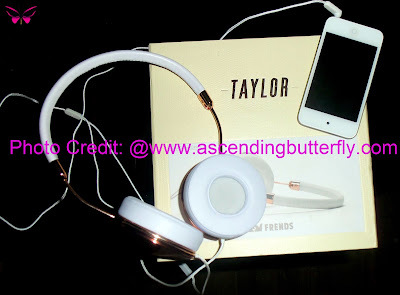 The Taylor headphones by FRENDS get the butterfly and "TwitterPartyDJ" stamp of approval. 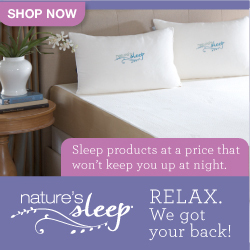 FTC: Disclosure: The products/services referenced have been provided at a reduced price or for free. I am a member of Best Buy's Wolf Blogger Blogging Program. All opinions are 100% my own. Ohhhh Pretty !! Need a new pair these just may be it ! thanks for the heads up ! @Big Happy Buddha - These are a great marriage of form and function that's for sure! These are so stylish!! I would be rocking the ipod while cutting grass! lol Seriously though my daughter would love these. Going to check them out for her birthday!! @Maria - Your neighbors would definitely be jealous if they saw you cutting the grass wearing these! And your daughter will go NUTS if you do get her these for her birthday!